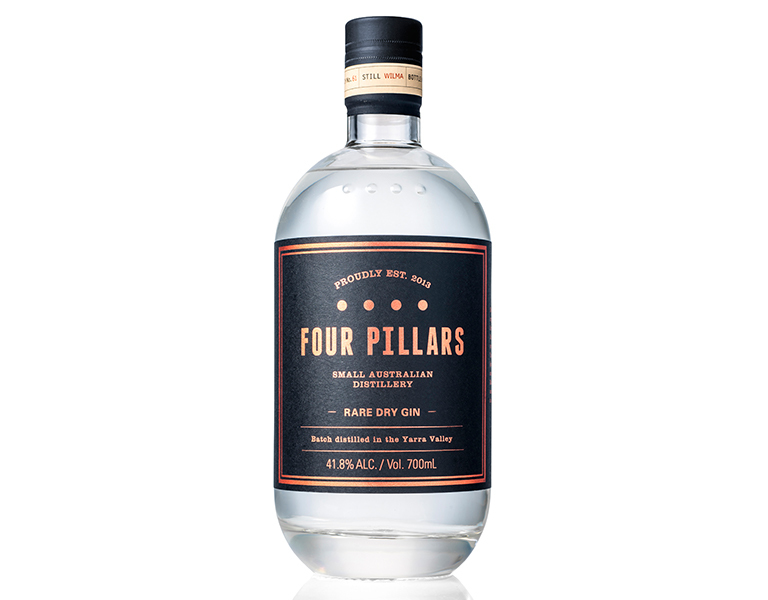 Four Pillars is a small Australian distillery in the Yarra Valley. The team behind it is Stuart Gregor, Cameron Mackenzie and Matt Jones. Their ambition is to make the best craft spirits in Australia. Four Pillars Rare Dry gin uses ten botanicals – both local and exotic. The local botanicals include Tasmanian pepper berry and lemon myrtle and the exotics include juniper of course, cardamom, star anise and coriander seeds. Perhaps most interesting is the use of whole oranges. It is quite unusual to use fresh stuff in gin but Australian citrus is highly aromatic and supports the spicier botanicals like coriander, cardamom and star anise. The goal is to create a perfect, classic gin and something that would fascinate and delight even the most hardened gin fanatic…something spicy with great citrus at the back. When enjoying a Four Pillars Rare Dry and tonic, it really shines when a garnish of a fresh orange wedge is used rather than other fruits. 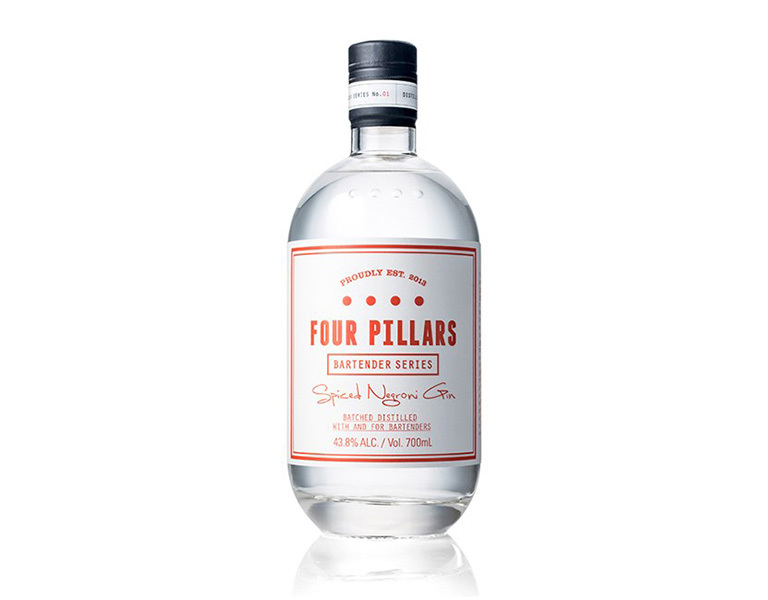 The rest of the permanent Four Pillars range is made up of Navy Strength and Spiced Negroni gins. There are seasonal, very limited releases from time to time such as Bloody Shiraz gin, Barrel Aged and Christmas gin. Follow us for timing of these popular releases.